There is no one-size-fits-all approach to buying commercial property. Whether you are a passive or active investor, strategic buyer, looking for office or retail space – in every instance, due diligence is critical and some key conditions must be met. At Rose and Jones, we have bought, sold and managed commercial property for more than 30 years, not just in an arm’s length capacity, but in a far more personal role as the long-term trusted advisor and manager to substantial family property trusts, whose portfolios include numerous prime commercial sites with yields and growth statistics that are testament to the experience we’ve acquired over the years. Aside from the discipline of the purchase process, an ability to develop financial modelling and strategic plans based on the objectives of our clients is where we bring an unparalleled advantage to our clients’ endeavours. Our assessment process is underscored by a strict square metre valuation metric developed by our principals. As prices continue to rise and stock remains tight, developers must seek ever smarter approaches to minimising short term risk, whilst positioning themselves for healthy returns and successful exits. 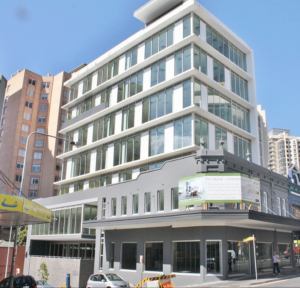 An eco-friendly building, 360 Oxford Street is one of the newest commercial buildings in Bondi Junction. 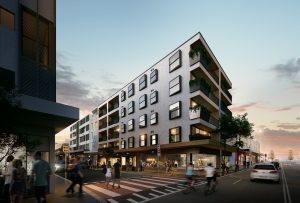 This commercial building provides the benchmark for all future commercial buildings in Bondi Junction. It comprises of a ground floor (retail spaces) and 6 levels of commercial space. The commercial spaces can be whole floor offices to cater to larger companies or can be partitioned into smaller spaces to suit a smaller office or one man show. The client, a family trust, engaged Rose & Jones to do traditional leasing & manage the building. Leveraging both local trade and visitors to the iconic Bondi Beach, The Drift’s residential and retail offering presented a rare opportunity in one of Sydney’s most celebrated locations. The redevelopment of this iconic site saw an 80% residential tenancy within a few short weeks of opening. Finding itself in esteemed company, The Drift sits amongst Bondi’s finest retail destinations and café culture. Hall Street is famous for its cavalcade of fine dining restaurants, cafés and wine bar offerings that include icons such as Bills, Gelato Messina and Earth Food Store. Framing the west facing side of The Drift is Gould Street – a much loved retail stretch that includes a diverse range of stores such as Saturdaysurf NYC, Jac+Jac, Jatali and Carousel. Hall and Gould Streets enjoy regular foot traffic that engages with its surroundings and offers a social meeting point for friends to come together to shop, wine and dine.